Karl Hans Strobl (1877-1946) formed, it has been said, “with Gustav Meyrink and Hanns Heinz Ewers the three dark princes of the German horror and supernatural tale”; the Encylopedia of Fantasy varies the metaphor, calling him one of the “Three Musketeers” of the German fantastic revival after 1900. He wrote several volumes of fantastic stories, including Die Eingebungen des Arphaxat [“The Inspirations of Arphaxat”] (1904), Die knöcherne Hand [“The Bone Hand”] (1911), and Lemuria (1917). He founded Der Orchideengarten: Phantastische Blätter in 1919, widely thought of as the world’s first magazine devoted to fantastic fiction: see the Encyclopedia of Science Fiction. Strobl was born in Jihlava in Moravia, and died at Perchtoldsdorf, near Vienna. He went to the University of Prague, where he was active in the fraternity called Corps Austria, a pro-German and anti-Czech group. He was influenced by the writings of the racialist Houston Stewart Chamberlain. He wrote a considerable amount of fantasy and other fiction before the War, including Eleagabal Kuperus (1910), which was released as the movie Nachtgestalten in 1920. After his wartime activity as a reporter, he moved to Germany, which is where he founded Der Orchideengarten. He became a more fervent supporter of the Nazi party, and advocated the annexation of Austria by Germany. He was expelled from Czechoslovakia in 1934 for his pro-Nazi activities. 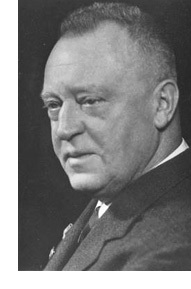 He became President of the German-Austrian Writers Union, and after the Anschluss, he became regional head (in Vienna) of the Nazi writers’ organisation, the Reichsschriftumskammer. He turned his talents towards writing propaganda for the regime. The Russian army forced him to work on a road repair gang after the war, and he died not long afterwards. My information comes from the English and German editions of Wikipedia, which do not always agree on detail.